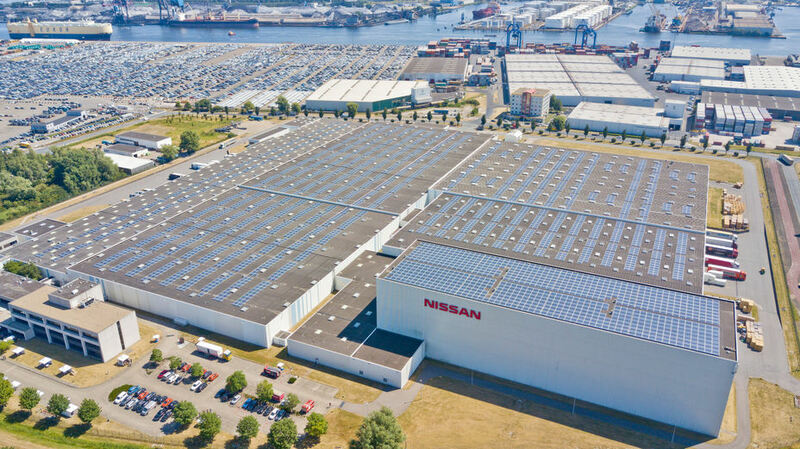 Nissan’s commitment to become more sustainable in its global operations is looking extremely bright at its facility in the Netherlands. The Nissan Motor Parts Center, which is located in Amsterdam, is now harnessing solar power from the nearly 9,000 photo-voltaic panels that line its roof. Collectively, the panels can potentially generate 70 percent of the energy the facility needs to operate each year. The renewable energy the solar panels create will effectively decrease the amount of C02 the parts center produces as well, upwards of 1.17 million kilograms. The country’s national grid will also earn a boost of energy from the solar-paneled roof. To fund the sustainable solar-powered project, Nissan is getting a bit of help from a national crowdfunding scheme.